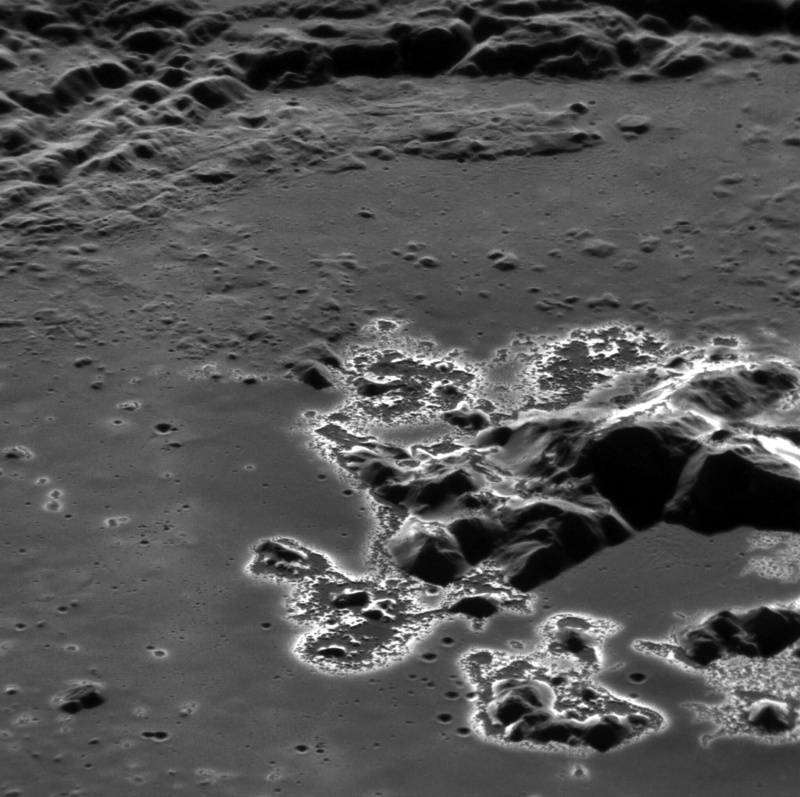 The latest featured image from NASA’s MESSENGER spacecraft shows the central peak of the 78-mile (138-km) – wide crater “Eminescu” surrounded by brightly-colored surface features called “hollows”. Actually tinted a light blue color, hollows may be signs of an erosion process unique to Mercury because of its composition and close proximity to the Sun. Previous Post Brightest ISS Pass of 2012!